Garden Sparkle Blog: SPOOKY Fairy Garden Giveaway!!!! Are you ready to CELEBRATE miniature Halloween in your fairy garden on Friday??? 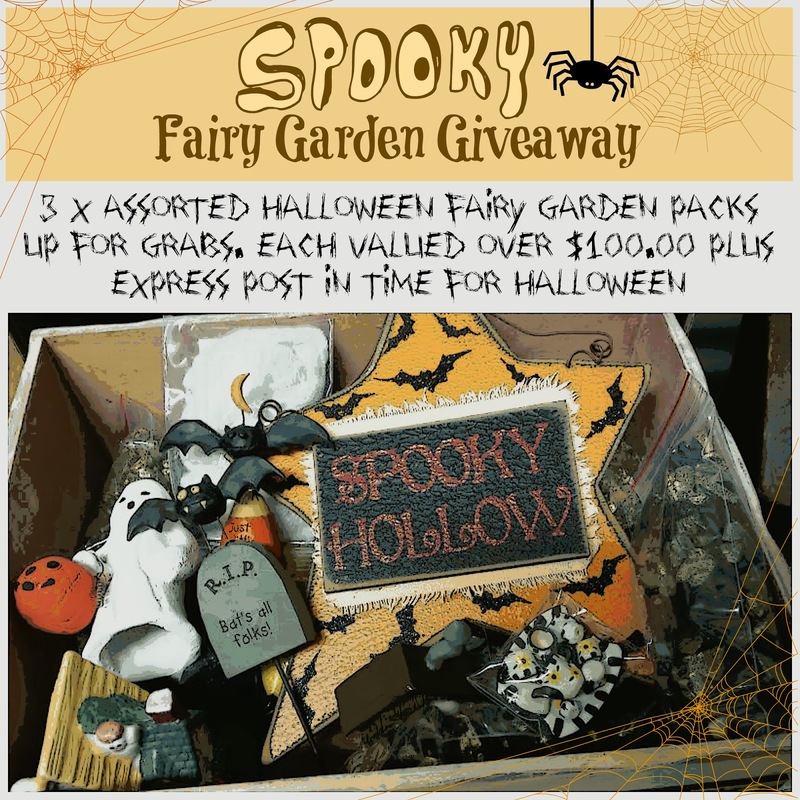 This is your chance to receive a FREE Halloween Fairy Garden Pack!! 3 x ASSORTED PACKS UP FOR GRABS!!! Each valued at over $100!!! LIKE the Halloween Giveaway pinned post and follow instructions there!! 3 WINNERS RANDOMLY DRAWN AT MIDDAY ON TUESDAY 28th October and announced here on our blog! Good luck fairy friends! !